If your social news feeds, emails and fave radio stations have been flooded with Michael Jackson songs, pics or quotes you probably already know that today marks his five year death anniversary. Yes, FIVE YEARS, have passed already. I can’t wrap my head around that factual nugget. Because sometimes I forget it’s true until you see creepy innovations, or days like this jolt the memory bank. I’d much rather stay tuned to what Michael left behind: innovative music videos that made us think. And not just about how to move our body to his jams, but to look beyond our block to help solve global problems. To commemorate the five years he’s been gone, I highlight five of Michael Jackson’s music videos that taught humanitarianism. Let’s moonwalk down memory lane together…. … Starting with, what else “Man in the Mirror,” the famous ballad teaches us to be the change we wanna see in the world. Next up is a definite no-brainer, the call-to-action anthem: “Heal the World,” which is pretty self-explanatory. Followed by “Earth Song,” an S.O.S call to save the planet and humanity, in general. A message more appropos now than in the mid ’90s. Who says Mike wasn’t a G? Well, maybe not in a baggy jeans, gun-toting, do-rag way, but he let his feelings be known on the “They Don’t Care About Us” track that produced two music videos about human rights abuses. Check out the prison version below. Mike sure left a lasting impression on it with his timeless music that continues to inspire and empower people. 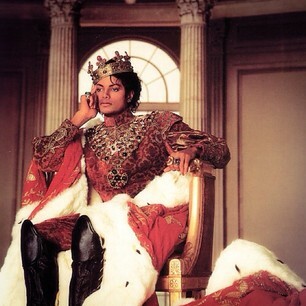 R.I.P King of Pop.